Support the SMALL BUSINESS and use your American Express or better yet pay in cash cause most credit card companies take a chunk. Go around your area and explore the small businesses around you! ABL has always been a fan of the Uglydolls. 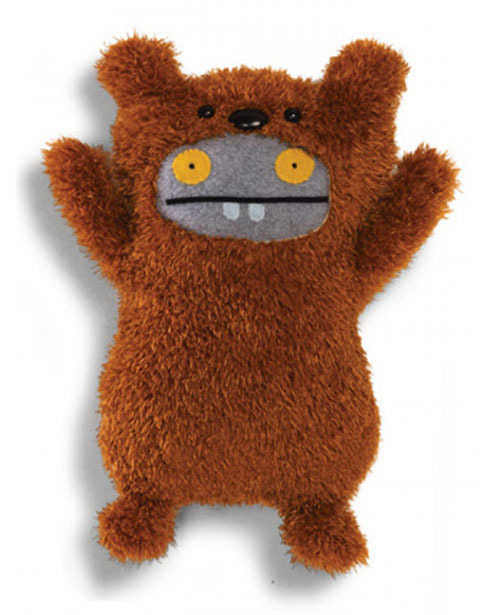 This month, David Horvath announced the release of Babo Bear. Uglydolls is now a huge company. They decided to have the plush company GUND do their doll distribution. Instead of waiting for it to hit the bigger chain stores, Shay Fei Fei purchased Babo Bear from Yoyamart one of the small business specialty shops. There used to be two shops here in the San Francisco Kidrobot and Giant Robot. However, they closed down because there was not enough support to keep them open. If you don’t want your local stores or the smaller guys to shut down and disappear, you should support them by buying from them. If you have something in mind and can afford it, buy from the smaller businesses when you can!